What is Image Characterization and How do we Do it? “I can’t take that no more”. Brent: Hey Guys, Brent here from the Share Inspire Create show, the SIC show. And I’m here with my good friend Ugo Cei. Is that how you pronounce it? Ugo: Cei, it’ll be Cei; pretty good. Brent: Okay and Ugo share us something about where we are? 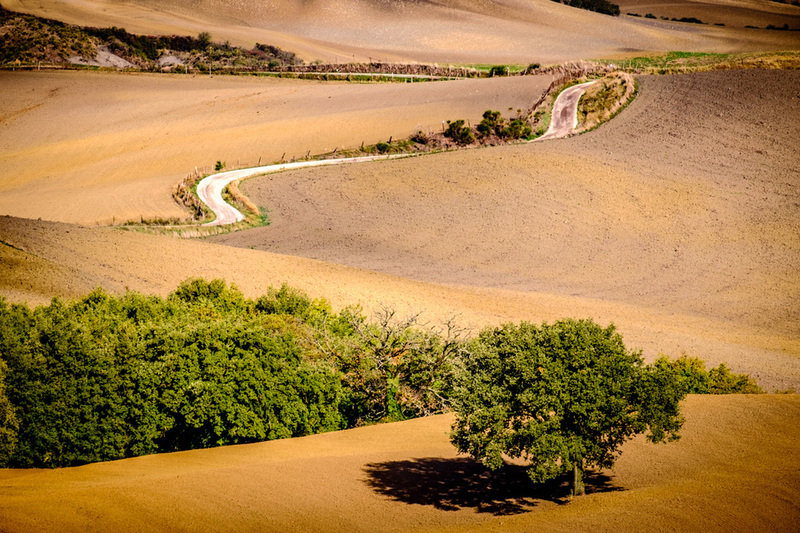 Ugo: Okay, so here we are in a location that is called Val D'Orcia and it’s in the heart of Tuscany. It’s a beautiful location. It’s very popular with photographers. 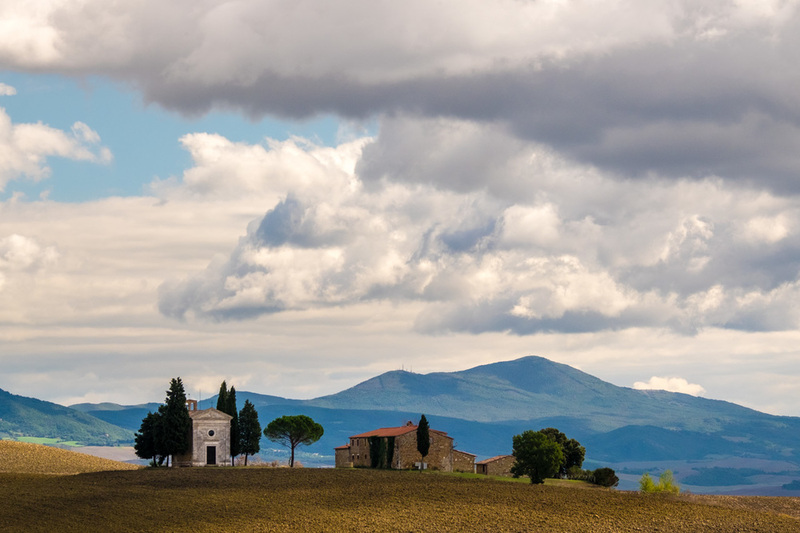 It’s characterized by a gentle rolling hills, fields, vineyards, and lots of Cypress trees with line-up. They used to plant Cypress trees on the side of the roads. So great perspectives there and here we are in a special location. Probably the most popular in the area, it’s called Belvidere. 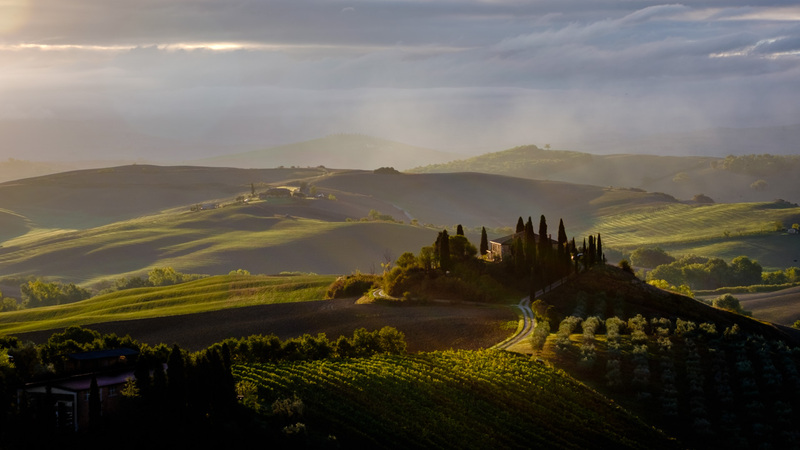 It’s a farm on a hill with Cypress trees in our back and it has a great sunrise location. So actually this morning we got up before 6 to get here for sunrise. We caught the great sunrise especially in this season we are in October, beginning of autumn. You get some great haze or fog clouds among the hills. So you’ll get really great light in the early morning here. Brent: Awesome and I was just loving the texture this morning; the rolling hills with the texture shooting into the sun. It’s a little bit challenging shooting into the sun. You know if you’ve got any tip for people doing it or coming to this location? Ugo: Well, you’ll be shooting mostly into the sun from this position here. And the horizon is quite regular, so neutral density or graduated neutral density filter can help a lot to darken the sky or you can take lots of bracketing. Do lots of bracketing. I took like 5 bracket shots in some cases where the sun is up. So that helps and then you can later merge them or do and HDR in post. Brent: Okay. So you’re going to Inspire us with one of your images now. So we’ll overlay that and maybe you can explain. Ugo: Characteristic image that you get from this location is pretty popular. For me it was the first time here too so I go to a place that is popular. I always try to get something different and interesting but you also want to get or it’s a postcard shot but you need to get it. Brent: And a little tip Guys, when you get here there’s quite a few photographers out there. They were all in the best spot so don’t be scared to walk around. Take a couple of shots and move somewhere else. Get different angles, different perspective. Shoot portrait and landscape orientation. It’s just an awesome place Ugo. Brent: And what was that saying that I learnt in Italian recently? Ugo: Mi cadono le braccia. Brent: (Mi cadono le braccia). What is that mean? Ugo: That means “I can’t take that no more”. But that is nothing to do with this place. I mean I could take this place again and again and again. We’d ever get tired of being here and I’m actually probably going to spend the rest of the day walking or driving around the area. There are other really great spots here. I’ve got a map with 6 or 7 of them. We’ll see how many we can cover today. Brent: Awesome, well thanks so much for being on the show. If people want to find out a little more about you, where can they go? Ugo: They can go to my website ucphoto.me. Brent: Awesome, well thanks Ugo for being on the SIC show again. Ugo: And thanks for coming to Italy and finally meeting you in person and face to face. It’s been 2 great days we’ve been together here. Brent: It’s awesome. Italy definitely should be in your bucket list. And we’ll see you guys next week. See you later, bye.